Here is a wonderful little bronze of a Lion Cub by Isidore Bonheur. While he was better known for his models of domestic animals but he also created some fine sculptures of wildlife too. The Lion Cub is running along, he is in a hurry to go somewhere. 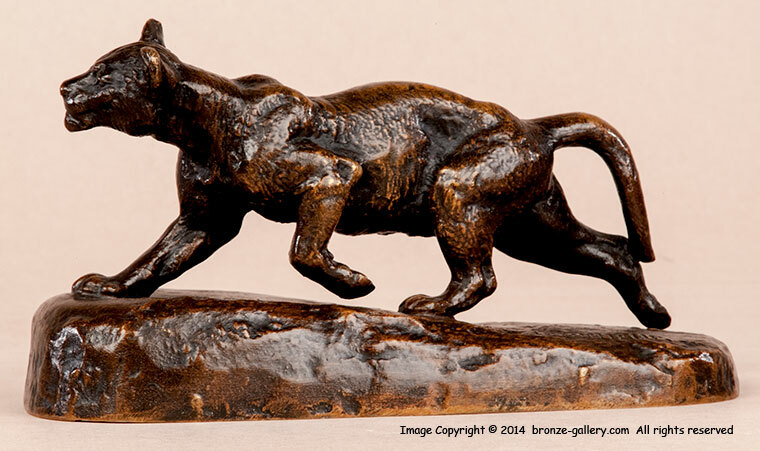 This Cub was originally designed as part of the larger sculpture Bonheur did of the Lioness and Cubs. The Lion Cub on his own is a fine model and shows Bonheur's talent. 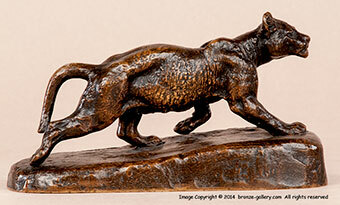 A rare bronze that does not come up on the market often, it is a good sharp cast with a warm brown patina.